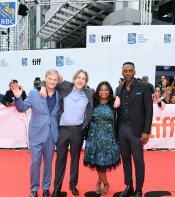 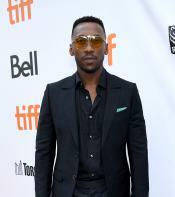 The movie Green Book may be a drama, but the cast and crew were all jokes on the red carpet on Tuesday night at TIFF. 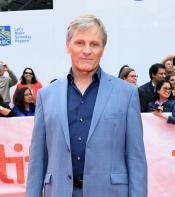 Fan favorite Viggo Mortensen stars in the movie as an Italian-American bouncer who gets a job chauffeuring an African-American musician through the South. 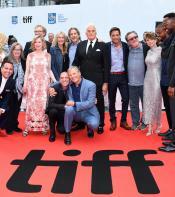 Viggo graciously signed autographs and posed for photos with fans before hoisting his director Peter Farrelly into the air — with the help of co-stars Linda Cardellini and Mahershala Ali. 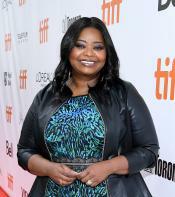 Octavia Spencer, one of the executive producers on the film, also graced the red carpet to show her support for this project.